It’s summer, are you ready for a wardrobe refresh? This season is a great time to try some new trends, and tops are the perfect way to do that. 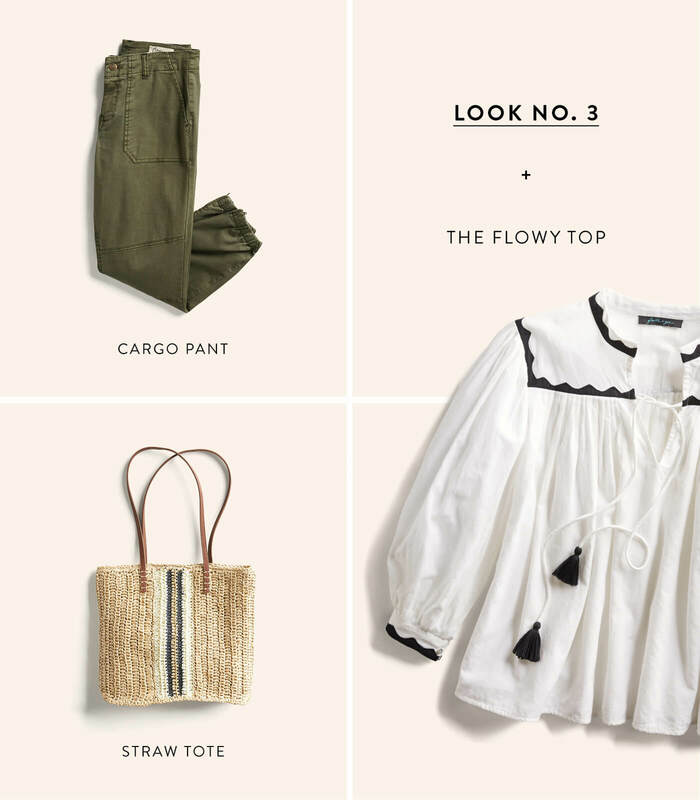 Get ready to perk up those white jeans, those denim cutoffs, those chic-but-basic work pants. We’ve got a summer’s worth of the cutest trends in tops, starting right here, right now. Ready to see the summer tops to stock up on? Keep scrolling! Looking for something crisp and cool as a cucumber for your 9:00-5:00? 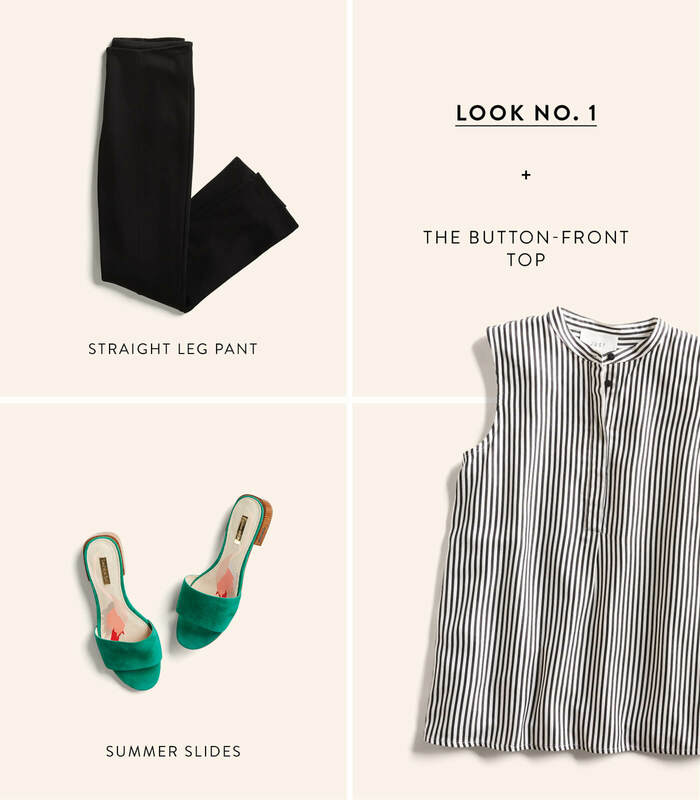 A sleeveless, striped button-front top is the definition of crisp and cool. Pair with black pants and pop-of-color slides for work, and tuck it into your favorite denim to wear into the weekend. Trending for a few seasons now, a cold shoulder top is the perfect way to show a little skin…but not too much. Done up in a pop-y floral print, this top is as cheerful and pretty as it gets. We love it with a strappy sandal and a denim jacket, so your shoulders don’t get too cold. The boho flow, that is. Sweltering summer temps call for a bit of air circulation and some sun protection—and flowy-style tops have it made in the shade, even if you aren’t in the shade. We love toughening up a voluminous, feminine top with a touch of military style, say cargos or other bottoms in olive drab. 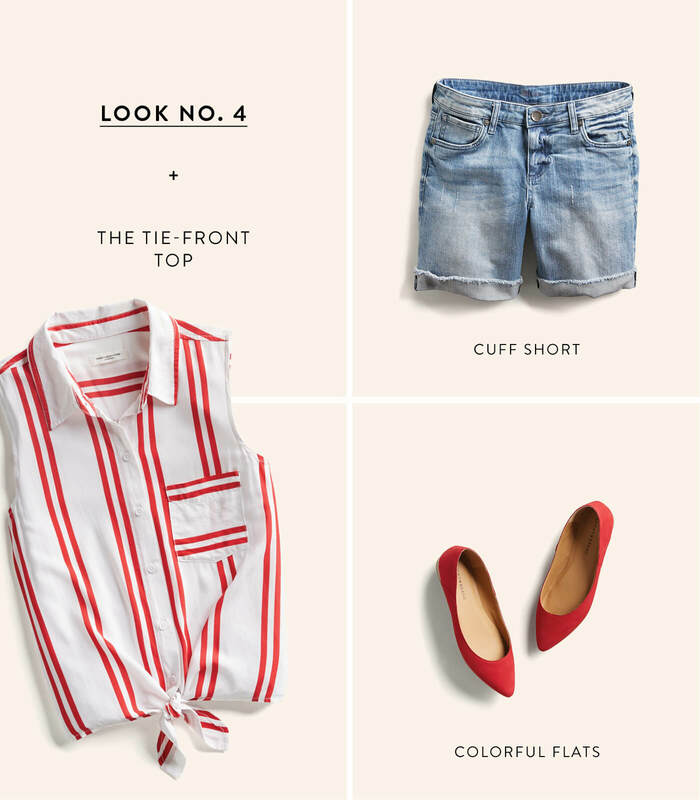 It’s a little bit country and way more than a little bit cute—the tie-front top is the perfect way to add some playful flair to anything from your favorite cutoffs to a full skirt. Whether it comes with long or short sleeves, in a solid or a print (we love these peppy stripes), this is a summer top we know you’ll get a lot of wear out of. 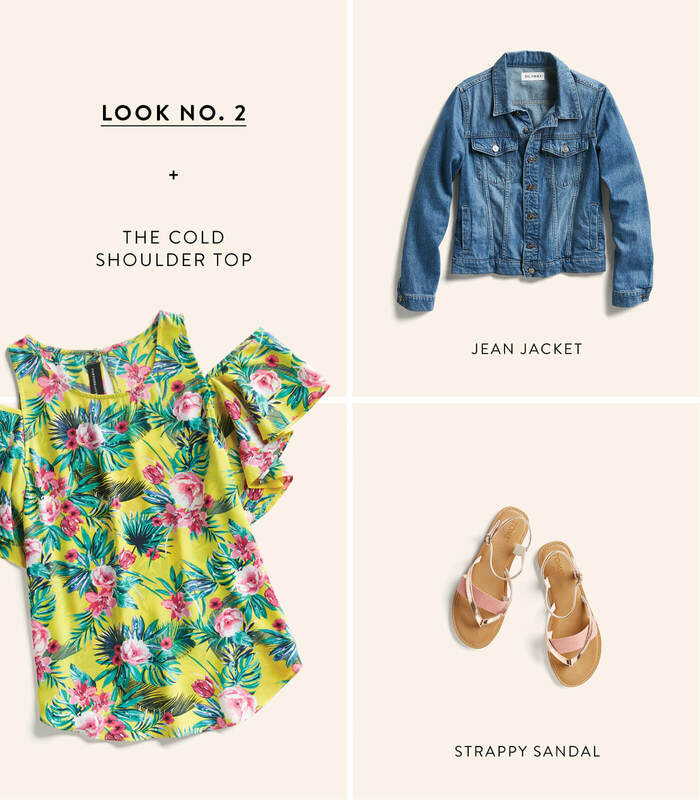 Feminine and waist-accentuating, a wrap top is flattering on lots of body types, and pairs perfectly with sleek pants, distressed denim, and a wide range of skirt styles. 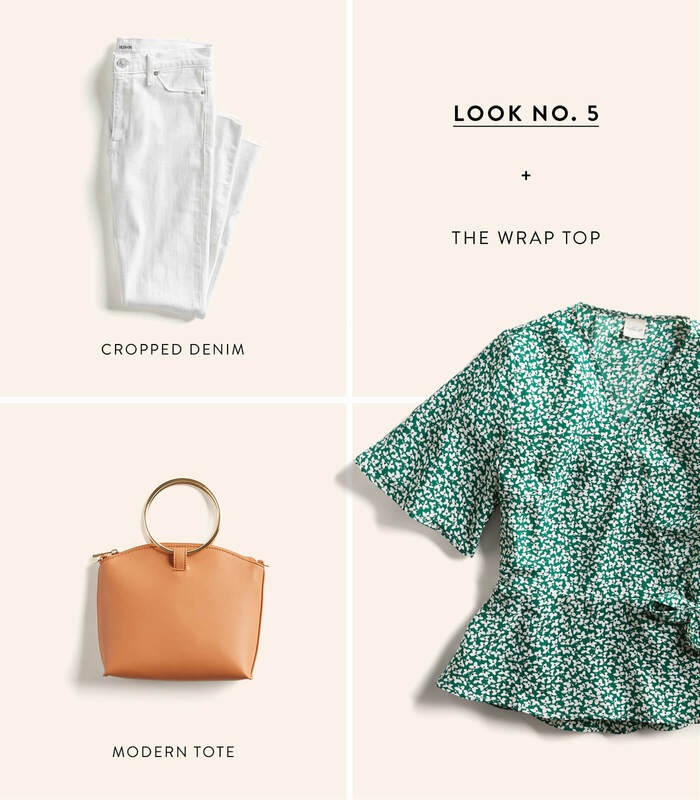 We like this elegant top with cropped white denim and a sophisticated tote—perfect for a casual date or brunch with friends. 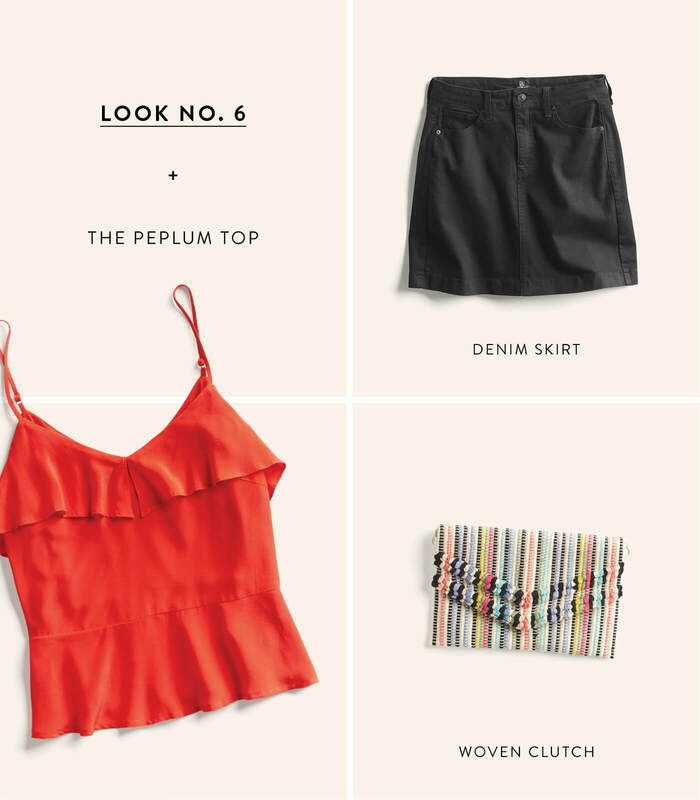 Whether you like your peplums small and frilly or big and flouncy, you really can’t go wrong with a pretty little top with a ruffle around the bottom. This type of top adds a lot of style to whatever you want to pair it with. May we recommend a denim skirt? Top this look off with a colorful woven clutch and be ready for whatever Friday night brings. Make some room in your closet. We have a feeling you’ll want to schedule a Fix and have a boxful of tops sent along—to pair with everything else you own.